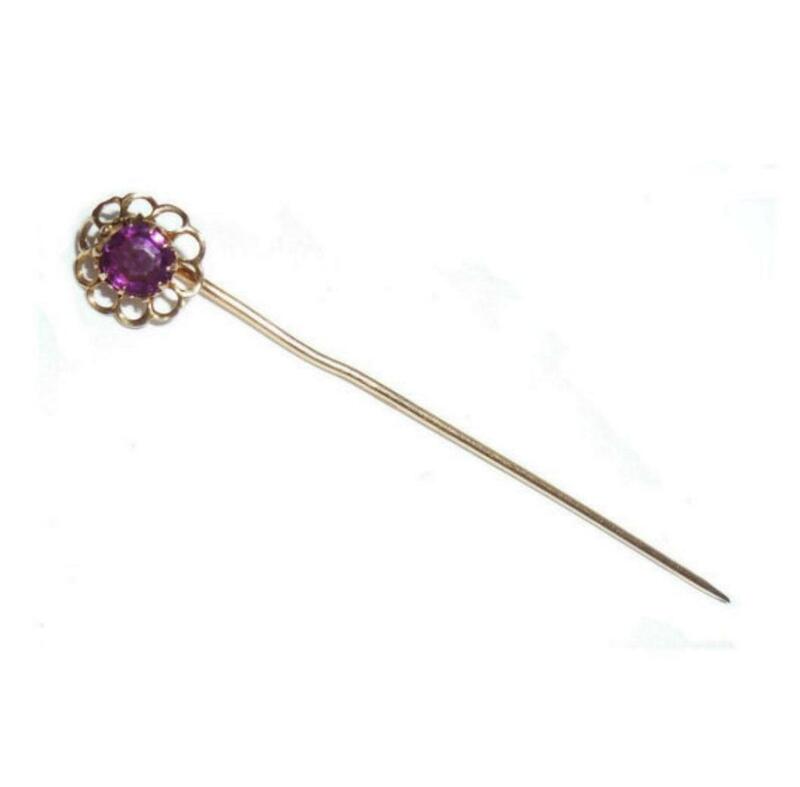 This is an antique Victorian 10k yellow gold cushion cut deep purple amethyst stickpin or hat pin. 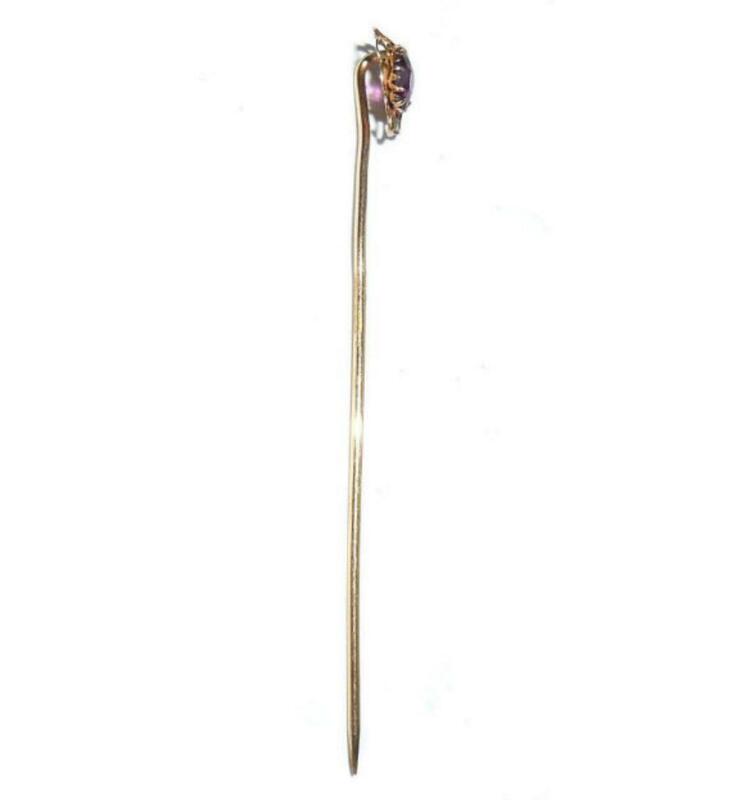 The head and stick are jeweler tested and guaranteed to be solid 10K gold. The amethyst is an early cushion cut with better quality deep purple color. The head has a twisted beveled Victorian flower petal pattern that envelops the stone. The bezel has prongs that go completely around the stone. The rod has a deeply recessed twisted center. The back of the head is early and closed. There is some light age wear on the back. Sorry for photo glare…..the amethyst is smooth and fine quality with deep rich color. Old original cushion cut. Condition is excellent, gently used. No chips or cracks or abrasions. Stone size is .4 carat and 5mm across. 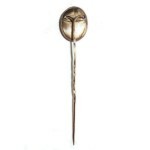 Stickpin size is 2 7/16″ long. The head is 3/8″ across. 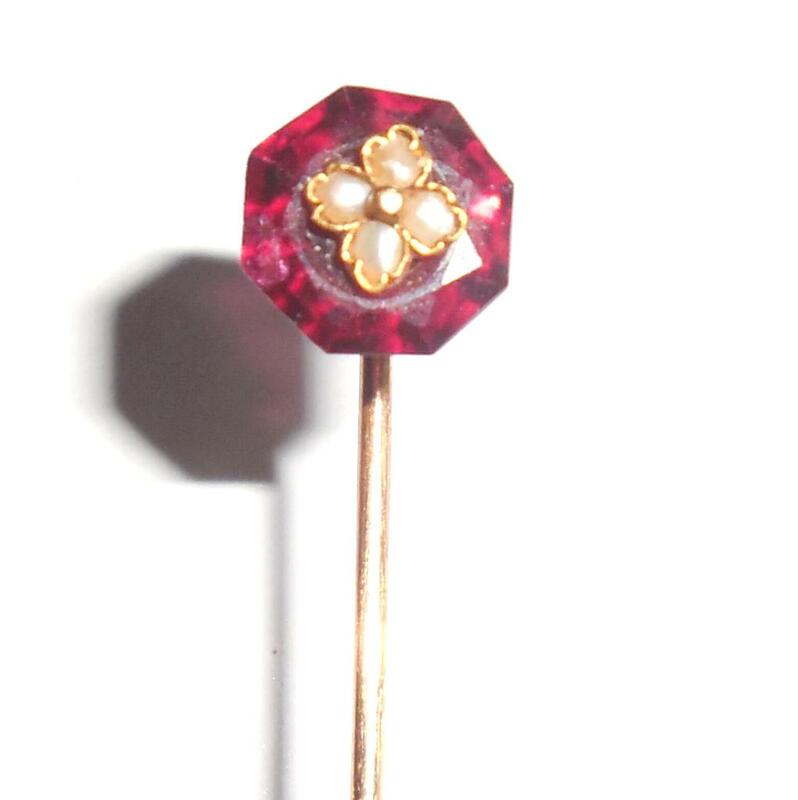 This is a lovely antique Victorian 10K gold gemstone stickpin for your collection. Antique Art Nouveau Art Deco 10k Gold .4CT Amethyst Stickpin with its original natural mined cushion cut deep purple amethyst gemstone. 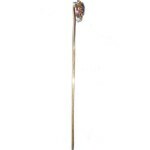 Both the head and stick are jeweler tested and guaranteed to be solid 10K gold. The amethyst is an early cushion cut with better quality deep purple color. Sorry for any photo glare. The amethyst is smooth and fine quality with deep rich color. Old original cushion cut. 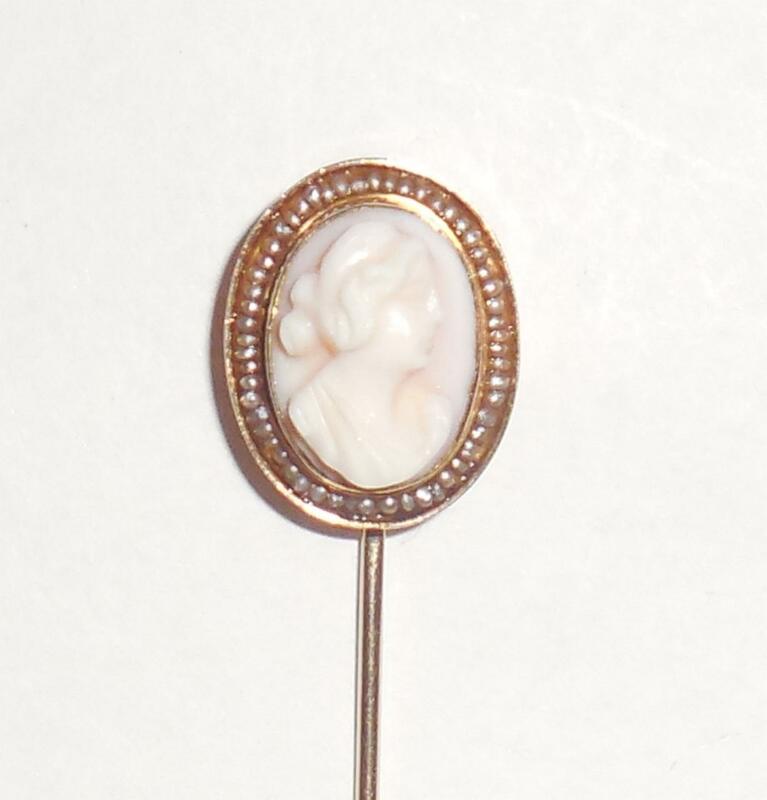 The head has a twisted beveled Art Nouveau to early Art Deco flower petal setting that envelops the stone. The bezel has prongs that go completely around the stone. The rod has a deeply recessed twisted center. The back of the head is early and closed. Gemstone weight is .4 carat and size is 5mm across. Stickpin size is 2 7/16″ long. The head is 3/8″ across. Condition is excellent, gently used. No chips or cracks or abrasions. Light age patina to the gold. 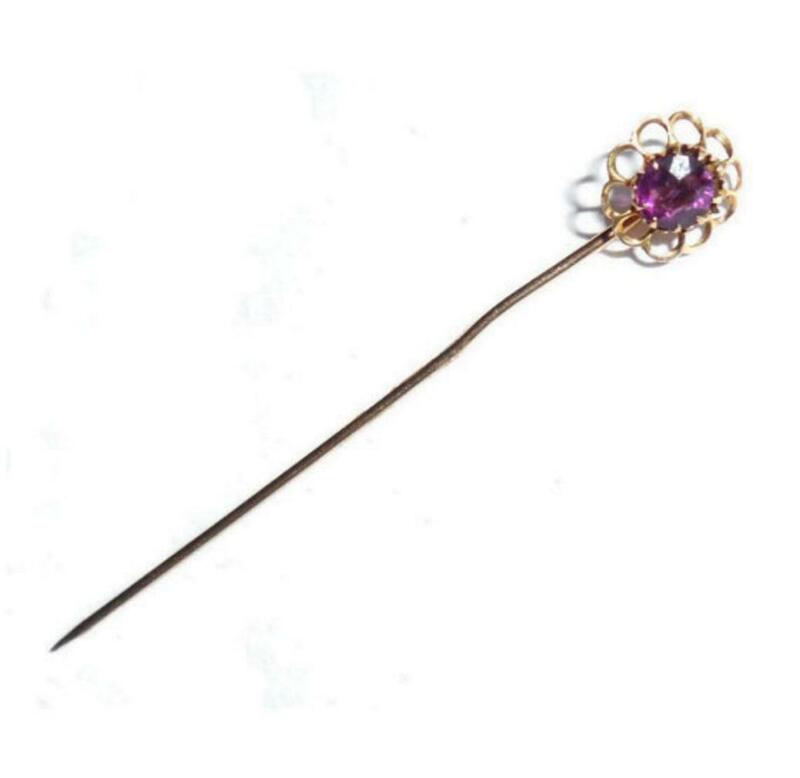 This is a lovely Antique Art Nouveau Art Deco 10k Gold .4CT Amethyst Stickpin for your collection. Amethyst is a violet variety of quartz often used in jewelry. The name comes from the ancient Greek ἀ a- (“not”) and μέθυστοςméthystos (“intoxicated”). 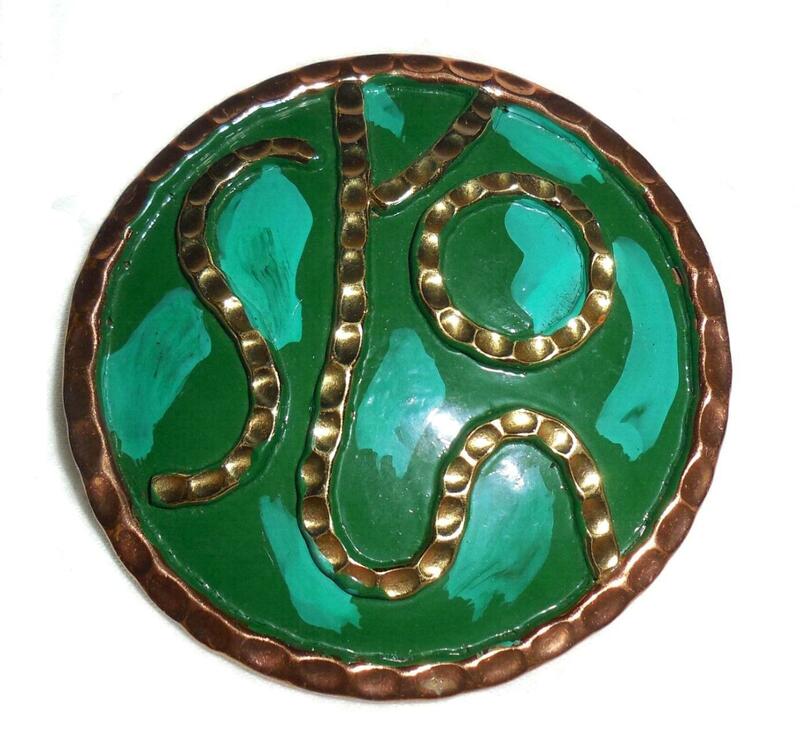 This is because it is a reference to the belief that the stone protected its owner from drunkenness. In addition, the ancient Greeks wore amethyst and made drinking vessels decorated with amethysts since they believed that it would prevent intoxication. Being one of several forms of quartz, amethyst is a semiprecious stone. 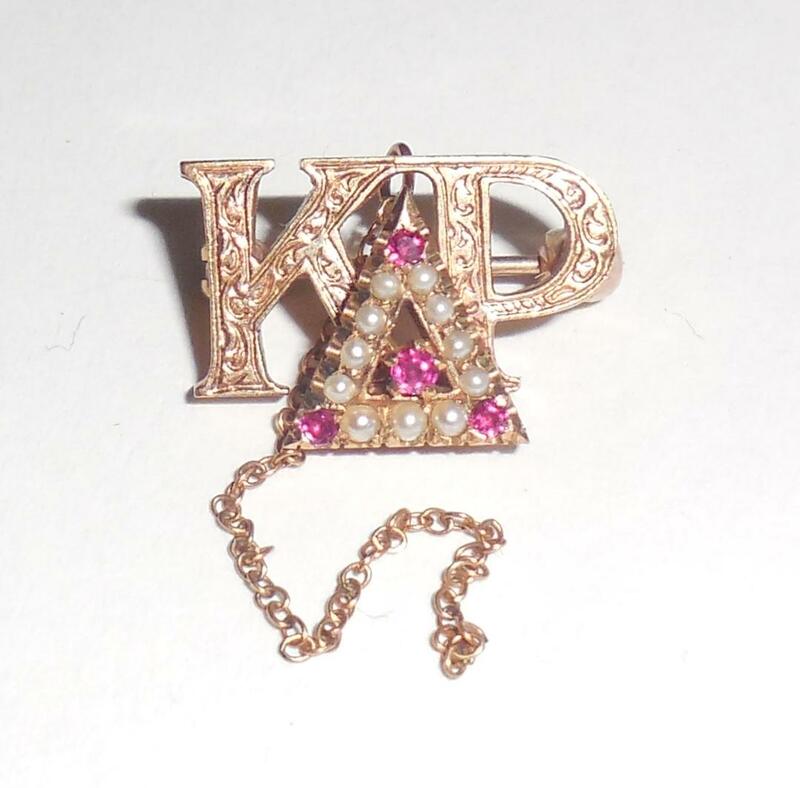 Another use as the traditional birthstone for February. Much as Greeks and Europeans used amethyst it was also used as a gemstone by the ancient Egyptians. Hence, it was largely employed for intaglio engraved gems. 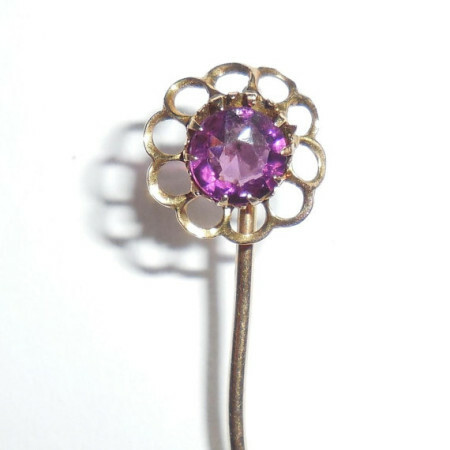 The Greeks believed amethyst gems could prevent intoxication. Likewise, medieval European soldiers wore amethyst amulets as protection in battle. This was a result of the belief that amethysts heal people and keep them cool-headed. In fact, beads of amethyst were found in Anglo-Saxon graves in England. Finally, Western Christian bishops wear an episcopal ring often set with an amethyst. Hence, this is an allusion to the description of the Apostles as “not drunk” at Pentecost in Acts 2:15. Consequently, amethyst is still used today for jewelry making.